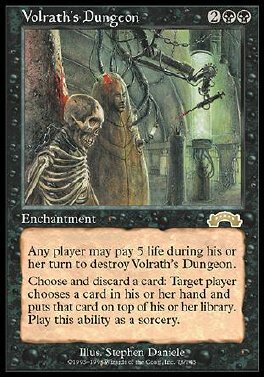 Pay 5 life: Destroy Volrath's Dungeon. Any player may play this ability but only during his or her turn. Discard a card: Target player puts a card from his or her hand on top of his or her library. Play this ability only any time you could play a sorcery.